Another bold sneaker for the season, Nike has released this “Chilling Red” version of the Air Tech Challenge Hybrid. The red upper is constructed with nubuck and leather materials, which are contrasted by a black lining and laces. An explosive splatter print and flaming tennis ball branding adds additional character to the vibrant model. To finish off the sneaker, a white midsole sits atop of an icy outsole for a nostalgic feel. 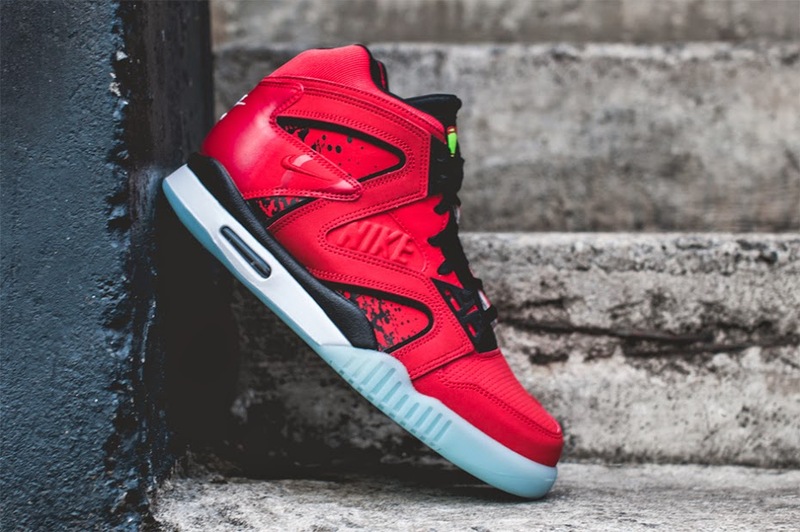 The Nike Air Tech Challenge Hybrid “Chilling Red” is now available in-store only at Wish Atlanta.